A terror attack hit the Turkish capital Ankara on Sunday for the second time in less than a month, killing at least 34 people and injuring 125 others, including 19 in serious conditions, according to the Turkish health minister. 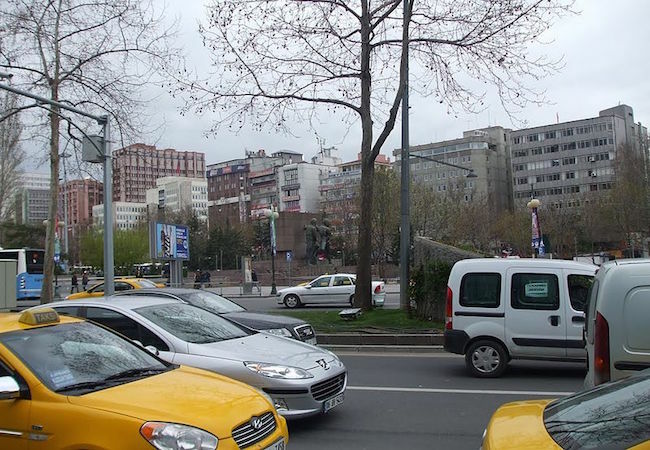 Authorities said around 18:45 local time (GMT 1845) a bomb-laden vehicle hit a city bus from the rear end near Guven Park area in downtown Ankara, close to government buildings and the Supreme Court, and triggered an explosion. Casualties are expected to rise as the attack occurred in a crowded area near bus and subway stations where people spend their weekends shopping and dining in nearby stores and restaurants. The blast has caused an extensive damage to the surrounding area, including some buildings and about a dozen of vehicles. Firefighters rushed to the scene along with emergency service and first responders. Police have cordoned off the area completely. Police and area hospitals have called on all their members who were on leave of absence to report for duty immediately. The Ankara Chamber of Medicine announced on Sunday that at least 150 people were carried to hospitals. Ercan Tastekin, the head of the Ankara-based Research Center for Security Strategies, said the attack happened between 18:30 and 19:00, which indicates planners contemplated to exploit a prime time on networks. “The attack was planned to produce wide coverage on the TVs with this timing and to provoke panic,” he commented, urging people to act with common sense. Turkish Prime Minister Ahmet Davutoglu convened a security meeting shortly after the blast to assess developments. Turkey’s broadcasting authority RTUK also banned coverage of the explosion within hours after. Sedat Laciner, a Turkish security expert, said the attack highlighted serious mishaps and failures of the Turkish intelligence community in uncovering the plot in advance. “At least some 10 people must have involved in planning and carrying out such an attack. The intelligence should have detected this network before it actually happened,” he lamented. Nobody has so far claimed responsibility for the deadly attack. However, a military intelligence document that was dated back to March 4 and was published by a news portal Turkish minute.com had warned that the outlawed Kurdish Workers’ Party (PKK), a terrorist organization labeled by Turkey, the United States and the European Union, are likely to stage an attack in an area close to the blast site. The U.S. embassy also issued a specific warning for the area on Friday, advising its citizens to stay away from near the explosion site. This is not the first time that the Turkish capital has been targeted by terror attacks. On Feb. 17, a bomb-laden automobile struck military service buses, killing 29 people not too far from Sunday’s attack. The government said the suicide attacker was members of the PKK and its Syrian offshoot the Democratic Union Party. Later the Kurdistan Freedom Falcons, a PKK affiliate, publicly claimed the responsibility for it. Major opposition parties in Turkey, the Republican Peoples’ Party, the pro-Kurdish Peoples’ Democratic Party, and the nationalist Movement Party, had all condemned attack. Back in October 2015, twin suicide bombings rocked the capital Ankara by killing 102 people and injuring hundreds more in what has been the deadliest single act of terrorism on the Turkish soil. The IS was believed to be behind the heinous slaughter. Since the summer of 2015, the PKK has resumed violence against the Turkish government after the peace process collapsed. The Turkish security forces have been fighting with the group in the southeast since December. Turkey is also a front-line country in the U.S.-led coalition against the IS. Turkey’s NATO allies, including the United States, Britain and Germany, have deployed fighter jets to Incirlik base in Turkish province Adana near Syria border. In January, a suspected IS suicide bomber killed 11 German tourists and injured 15 in an attack on Istanbul’s historic old city Sultanahmet Square. In July 2015 an explosion in the Suruc district of southeastern Sanliurfa province killed 34, which was also believed to a perpetration of the IS.